Principal labels; Dominio Espinal, Castaño, Pozuelo, Hécula, Castaño Colección, Casa Cisca, Castaño Monastrell Dulce. Start to research the wines of Yecla on any wine page worldwide and there are two words which recur again and again; Monastrell and Castaño. Bodegas Familia Castaño is synonymous with wine production in Yecla, and the family was instrumental in promoting new techniques and innovation when it became the first bodega to make the transition from bulk wine sales to bottled wines, a position it has maintained since with continued innovation and investment. 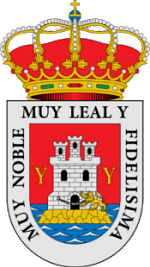 Yecla is the only DO (appellation of origin) in the Murcia Region which incorporates just one single municipality; that of Yecla, the northernmost in the Región de Murcia, covering 607 square kilometres. The DO was first granted in 1975, although wine has been produced in this area for thousands of years. The Phoenicians were certainly trading wines produced on what is now the Spanish mainland as far back as 1100BC and the Romans exported substantial quantities of wine from territories in Spain throughout the Empire. Amphorae from Spain have been found in settlements across France and Spanish wine was even exported to Roman soldiers guarding border settlements in modern-day Britain. Ample evidence of Roman occupation can be seen in Yecla today, with a stretch of the Vía Augusta, the main Roman communications which linked the Spanish territories to those in France and on to Rome, running through vineyards owned by this family. From time to time tastings are organised amongst the vines alongside the Vía Augusta, and modern day wine tourists can tread in the footsteps of Roman soldiers and trade goods as they followed this major arterial route towards France, and ultimately, Rome itself. Not without good reason is one of the most emblematic wines of this bodega name Hécula, the Roman name for Yecla, and packages are offered for groups wishing to visit not only the bodega itself, but also this important remnant of the Roman presence in Yecla. Although it is not known whether renowned Roman writers were offered Yeclan wine, there is certainly plenty of comment about Spanish wine in the writings of Pliny the Elder and Martial who praised the high quality of some wines from Spanish territories, while Ovid maintained that some Spanish wine was good only for “getting your mistress drunk”. 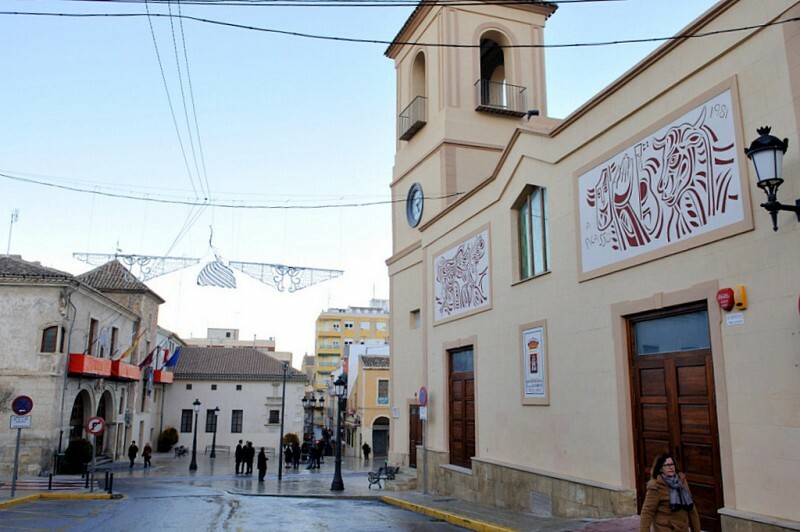 The municipality is also home to the Torrejones Roman villa, a major agricultural production site, artefacts from which can be seen in the municipal archaeological museum, amongst them a bust of the Emperor Hadrian, who may even have stayed in the villa when travelling from his birthplace in Sevilla. 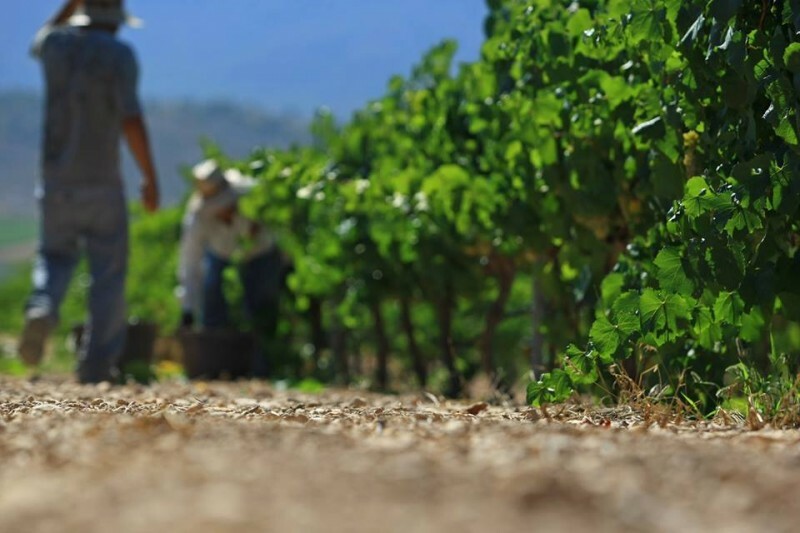 Yecla has two totally different areas of vine cultivation; Campo Arriba (the high fields) and Campo Abajo (the low fields) each with distinct soil conditions and climatic variations. Campo Arriba lies in the north of the municipality at a height of 700-800 metres above sea level, and offers drier conditions, baking in the summer and freezing in the winter, as the temperatures fluctuate from -6ºC in the heart of the winter to 40 ºC in the blistering hot summers which characterise an area on the edge of the searing dry plains of central Spain. This area has 70% limestone, 15% sand and 15% clay, its lack of water and organic sediment making it the natural home of some of the oldest Monastrell vines in the Castaño stable. Other plots lie in Campo Abajo, the lower lying areas of the municipality which offer soils with a higher percentage of humus and organic matter, just 40% limestone, to 50% clay and 10% sand. Bodegas Familia Castaño owns nearly 600 hectares of vineyards, with plots spread across the wine producing areas of the municipality, the age of vines, and the varieties grown, giving a practical palette from which to blend and paint their palette of wines, some areas dedicated to cepas viejas, or old vines, and others to experimental plots of new varieties. In the far north, this plot covers160 hectares and has markedly limestone-dominated soils. It is principally used for Monastrell and Garnacha Tintorera, but also has a smaller quantity of Merlot, Cabernet Sauvignon, Syrah, Cabernet Franc, Chardonnay, Sauvignon Blanc and Garnacha Tinta. This plot is lower and covers 88 hectares, with a predominantly clay soil and better water retention. For this reason, the plot has been selected to house the experimental vineyards which contain 16 different varieties, and focus on producing the stars of the future as the Yecla DO continues to innovate and adapt its wines to the demands of an ever-changing public. However, this plot is also used to produce a variety of grapes today and currently yields Monastrell, Cabernet Sauvignon, Merlot, Syrah, Macabeo, Chardonnay and Tempranillo. 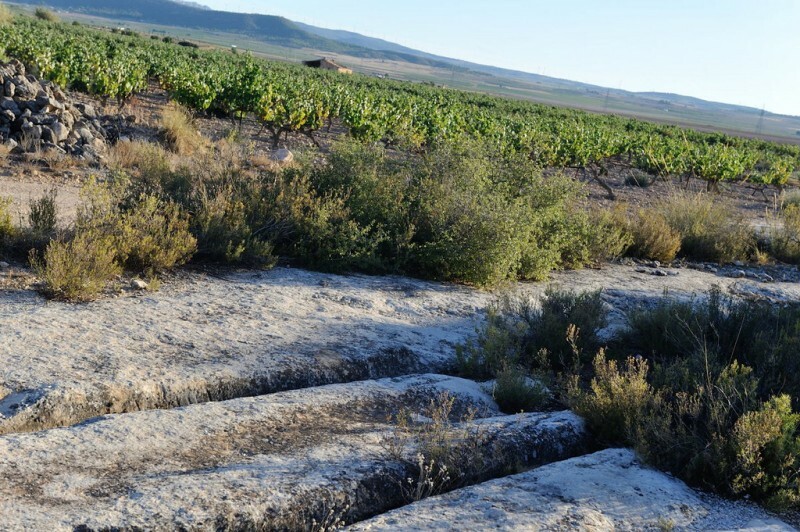 Located in the north-west of the municipality, this soil is predominantly limestone, and is home to a mixture of Monastrell, Garnacha Tintorera, Merlot, Cabernet Sauvignon, Syrah, Macabeo and Tempranillo, covering an area of over 140 hectares. This is located in a harsh, dry land, at the foot of the slopes of Mont Arabía, an area transversed by prehistoric man who left traces of rock art in the rocks of this area thousands of years ago, and is planted only with the King of grapes within this municipality, the hardy, drought resistant Monastrell variety which produces profound and gutsy reds. This plot has 25 hectares of Monastrell, with low density, low yield vines. Another plot of land surveyed by the artists of Prehistoric rock-art in this municipality, nine hectares of dry, stony land capable of supporting nothing other than drought –resistant, deep-rooted Monastrell, wrenching every drop of water from the soil, to produce intense Monastrells. Monastrell is the only vine capable of withstanding the dry conditions in this area ta the foot of Mont Arabí, and this is another two hectare plot dedicated only to Monastrell, with low yields and low density planting. An area of more forgiving imestone soil which covers 36 hectares in the north-west of the municipality, allowing a mixture of Monastrell, Garnacha Tintorera and Syrah to be cultivated. Another plot with limestone soil, at a higher altitude and with predominantly limestone soil, this 14 hectare plot yields some of the most important white grapes cultivated by the bodega, in the form of floral Macabeos and fruity Moscatels. 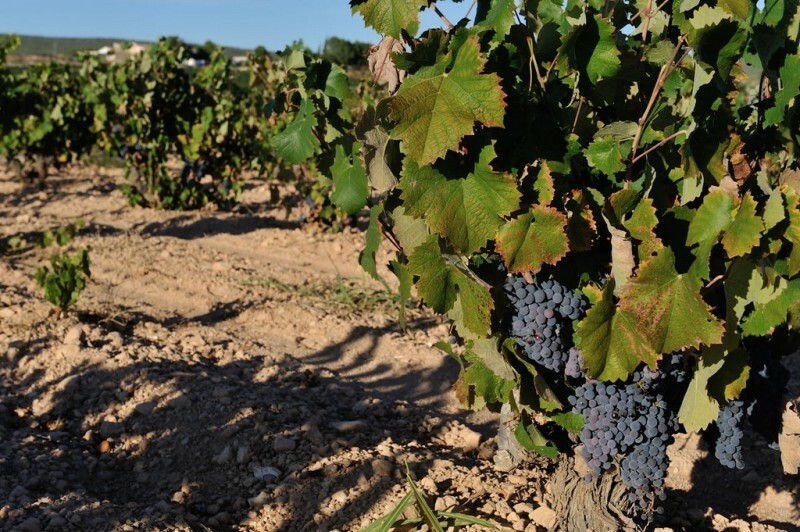 The predominant grape is Monastrell, a variety which not only withstands the temperature fluctuations of northern Murcia, but thrives in the near-drought conditions which predominate in Yecla. Rainfall is only 250 to 350 litres per square metre a year and the Murcia region has the highest number of sunny days of any region on the Iberian Peninsula, averaging 300 days of sun a year. 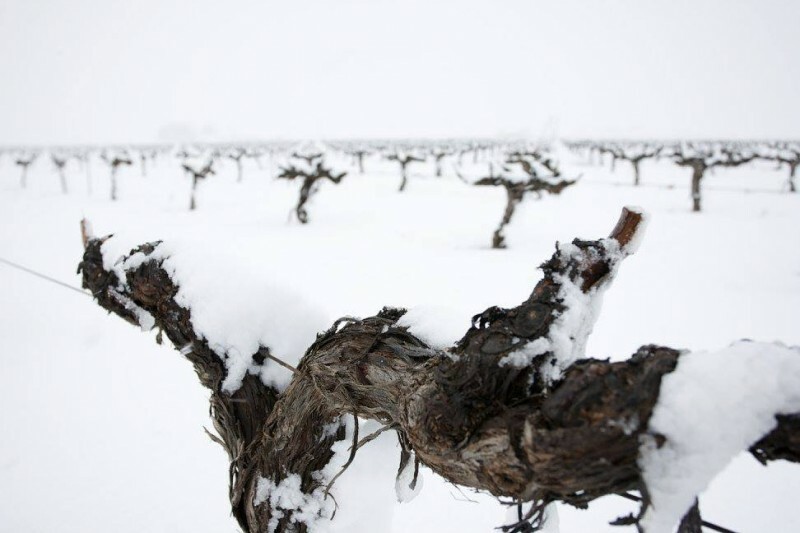 Monastrell vines are capable of putting down deep roots which seek out every drop of moisture from the soil, and the bodega has several historic plots of old wines, known as “Cepas Viejas”. These have a low yield, but the wines produced have a notable intensity and depth and are prized by enthusiasts. An astonishing range of wines can be produced from Monastrell, ranging from fresh and fruity young wines (joven) to sweet Monastrell dessert wines (dulce) made by leaving the grapes on the vines until they are practically dry and packed with astonishing sweetness and flavour. 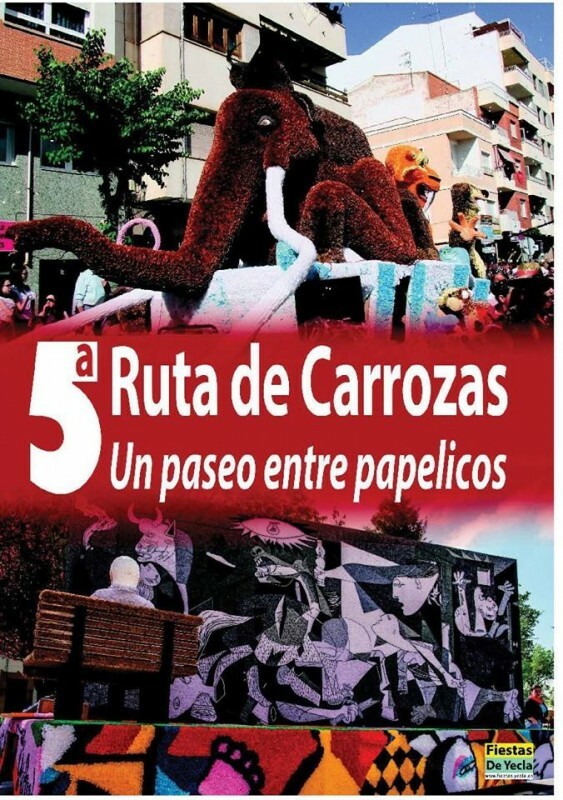 The sweet wine made by Familia Castaño is one of the best in the region (Ed’s note! )and is well worth tasting. Monastrell also blends well and ages well. 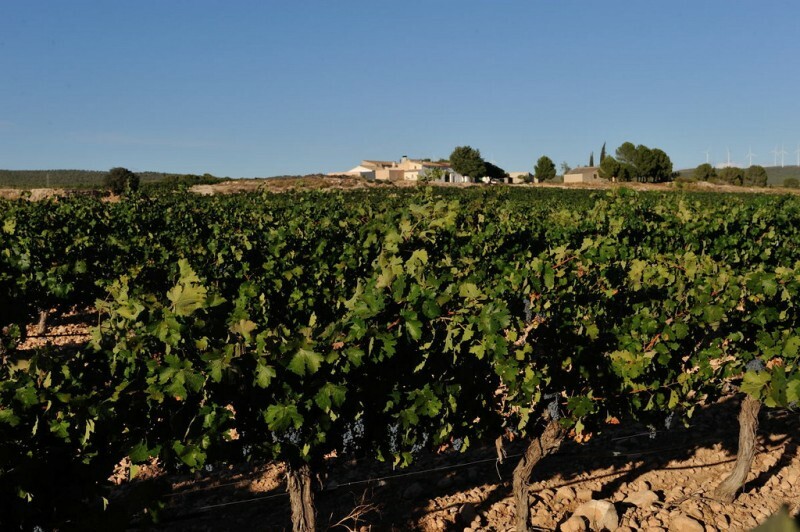 Familia Castaño cultivates around 400 hectares of Monastrell. Other reds: Garnacha Tinta, Garnacha Tintorera, Cabernet Sauvignon, Merlot, Tempranillo and Syrah. Whites: Macabeo, Chardonnay, Airén, Malvasía, Merseguera, Sauvignon Blanc and Moscatel de Grano Menudo. 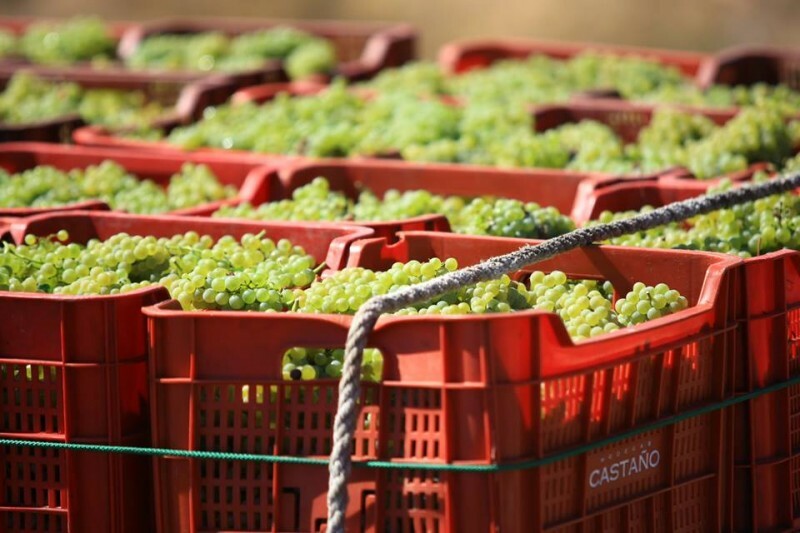 Castaño is the Yeclan name seen most frequently winning prizes at wine awards worldwide and Castaño wines can also be found in many bodegas and good restaurants across Murcia. The core “essentials” range should form the core basics of any self-respecting collection of Murcian wines and you’ll find prices reassuringly modest for the quality of wine purchased. 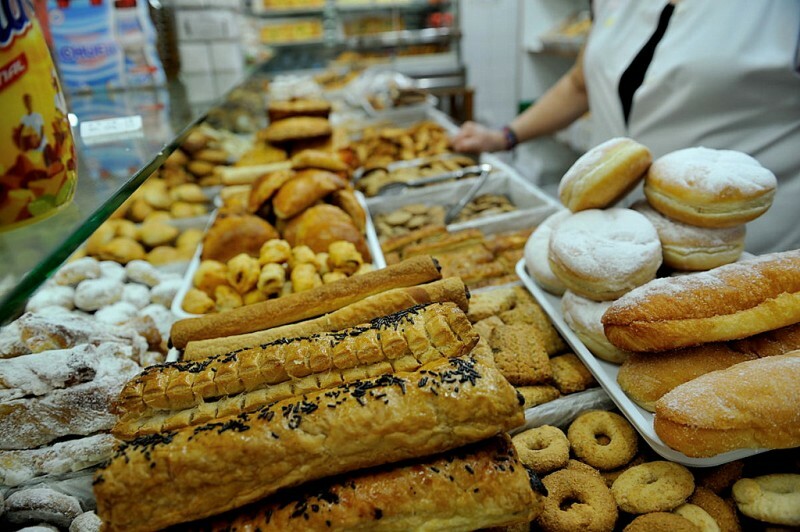 The shop attached to the bodega is open for general purchases and also runs special offers throughout the year, as well as offering a free delivery service within Spain for orders over 60 euros. A range produced exclusively using organic means. Dood solid collection and very well-priced. 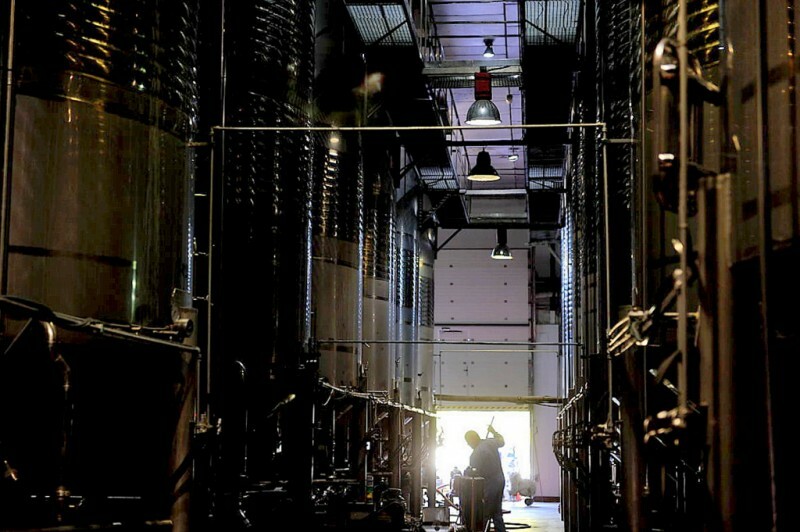 The bodega offers a wide range of activities and packages for all sizes of groups, ranging from a tour of the bodega and tasting of four wines for just 2 people, to compete tours of the vineyards, and installations, followed by a well-priced lunch and wine tasting in the lunch room of the bodega for large groups. Contact the bodega directly to request prices for the option you are interested in, and available dates. 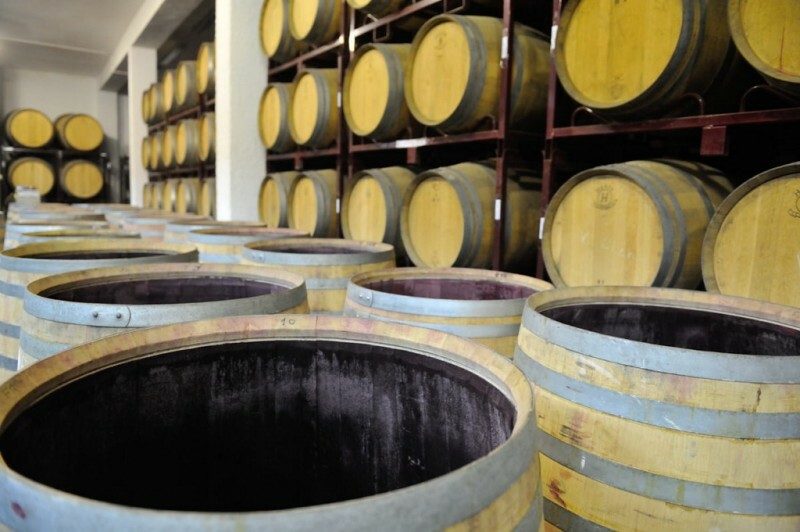 A guided tour of the Castaño bodega, with wine tasting of four wines. Visit lasts one and a half hours and the minimum group size is 2 people. A group of 12 people is required for this activity, which involves a visit to the Dominio Espinal estate to learn the difference between the different types of vines. Includes a country brunch in the estate. Visit lasts 3 hours. A three hour visit to the vineyards to learn about the Monastrell variety. 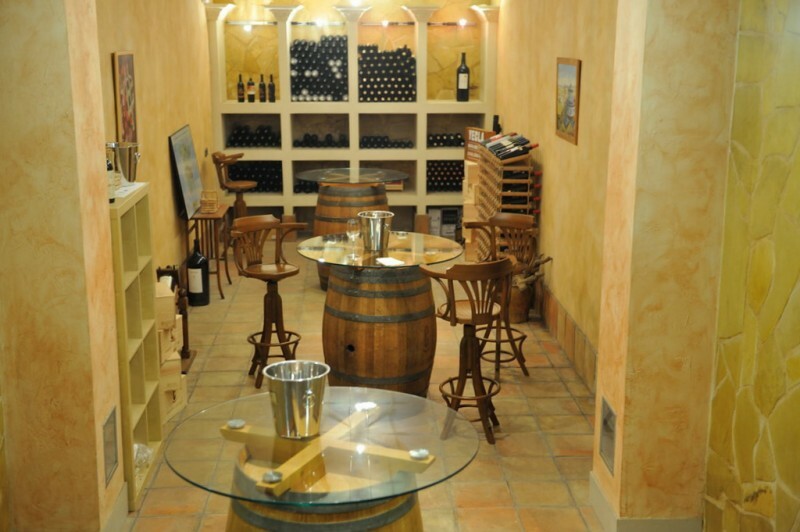 Includes tasting of four wines, and requires a group of four people. 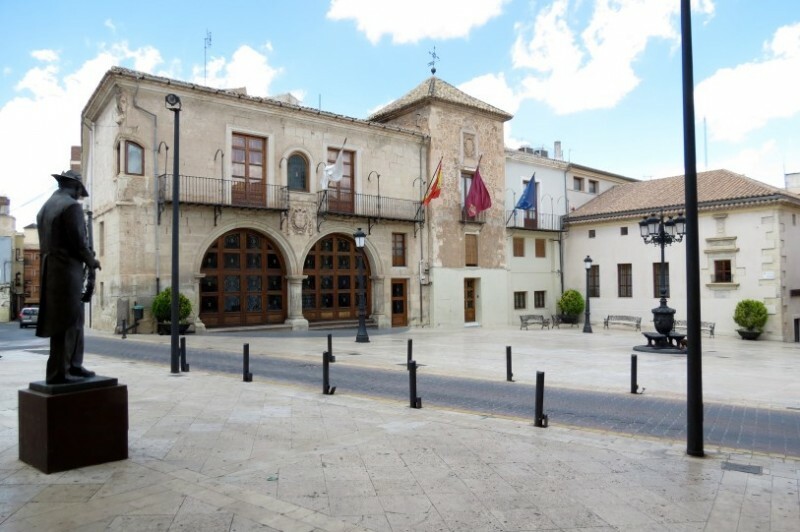 A five hour tour, which includes visits to the El Espinal vineyards and tour of Bodegas Castaño installations, typical Yeclan lunch, served with the best wines of the bodega. Minimum group size 12 people. 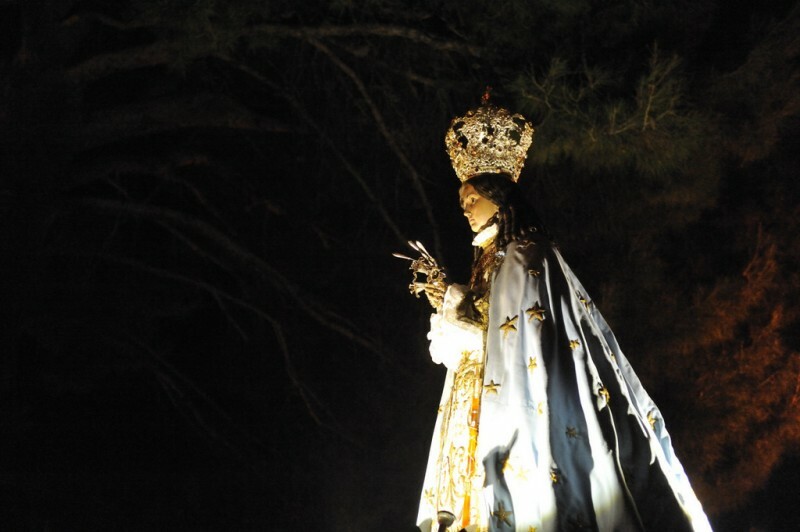 Santuario de la Virgen del Castillo.. 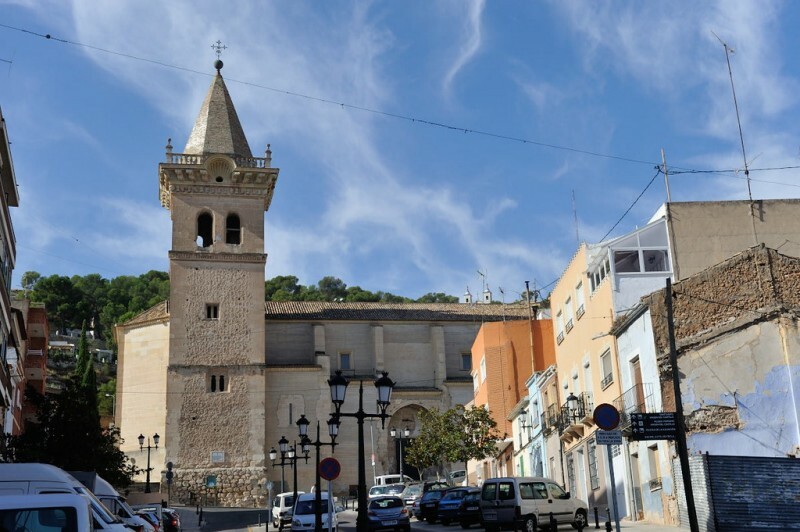 The sanctuary of the Virgen de la Purísima offers views out over the town of Yecla The Santuario de la Virgen.. The Auditorio Juan Miguel Benedito Rodríguez The structure currently used as the Auditorio Municipal of Yecla..